For example, a coal-fired power plant releases pollution into the atmosphere, which adversely affects the health of residents in nearby communities. This pollution is an example of an external cost because it causes health problems that neither the plant owners nor the electric users pay for (unless they live near the plant and pay the cost through their health bills). From coal mining and energy production, to distributing and using that energy, to disposing of waste products, electricity has many external costs. By examining them, we can better understand the true cost of electricity and how it varies depending on the technology or fuel used to generate it. Upstream operations take place before electricity is generated. For fossil-fuel and nuclear generators, the largest upstream external costs are associated with producing, processing, and transporting fuel. For solar and wind, the main upstream impacts are associated with manufacturing and transporting materials required for the solar panels and wind turbines. The external costs associated with upstream operations can be significant. Natural gas, for example, burns cleaner than other fossil fuels such as coal. However, methane, the primary component of natural gas, is a very potent greenhouse gas – up to 84 times more powerful than carbon dioxide in the first 20 years it is released into the atmosphere. Leaks and intentional releases of this damaging pollutant during the production, delivery, and use of natural gas, if not addressed, have the potential to negate the environmental benefits of natural gas over coal. The potential dangers of methane from natural gas operations can be most starkly seen in the recent, massive methane leak at a natural gas storage facility in Aliso Canyon, California. After a well in the facility failed, it leaked a total of 97,000 metric tons of methane before the gas company was able to plug the leak. This is the short term climate equivalent of burning almost a billion gallons of gasoline. Downstream operations take place during the generation of electricity and its subsequent transmission and distribution to customers. Pollution from fossil-fuel power plants makes up a significant portion of the downstream external costs associated with electricity generation. The U.S. Clean Air Act regulates and limits the amount of common pollutants power plants can release, including particulate matter (PM), sulfur dioxide (SO2), and oxides of nitrogen (NOx). Emissions of SO2 and NOx are also regulated under various cap-and-trade programs. While these programs have substantially reduced SO2 and NOx pollution, the remaining emissions from fossil-fuel generators still have adverse health impacts, including premature death and asthma. A National Research Council study in 2005, for example, found that these health-impacting pollutants from coal- and gas-fired power plants, respectively, cost society 3.2 cents and 0.16 cents per unit of generated electricity (kilowatt-hour). With an average household in the United States using about 11,000 kilowatt-hours of electricity each year, the health cost associated with that electricity consumption would be about $350 per year if it all came from a coal plant. Health-impacting pollutants from coal- and gas-fired power plants, respectively, cost society 3.2 cents and 0.16 cents per unit of generated electricity (kilowatt-hour). In addition to the types of pollution described above, fossil-fuel power plants also release greenhouse gases like carbon dioxide into the atmosphere – the main culprit of climate change. 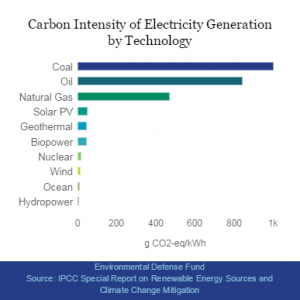 The carbon intensity of electricity generation varies significantly by fuel and technology, with coal and oil generation producing the most carbon and certain renewable energy, like solar and wind, producing none. However, as mentioned earlier, these renewables do produce carbon in upstream operations. The graph shows the total lifecycle carbon emissions for each technology, including upstream and downstream emissions. A coal-fired plant emits about one ton of carbon for each 1,000 kilowatt-hours of electricity it generates over its lifecycle. In 2013, the U.S. government updated its estimate of the cost to society of each ton of carbon emitted (also known as the “social cost of carbon”) and valued it at approximately $40 per ton. Based on that estimate, the climate-related damages from coal plants equal 4 cents per kilowatt-hour on average. However, $40 per ton is an underestimate because not all climate damages are considered in this figure. Overall, the electric power sector contributes significantly to the nation’s carbon emissions – equaling almost 40 percent of total U.S. emissions in 2015. Based on the social cost of carbon, climate-related damages from the power sector were nearly $80 billion in a single year. That cost is mostly borne by current and future generations through increased frequency of extreme weather events like flooding, drought, storms, and so on. Certain power plants need large amounts of water to operate, reducing water quality and intensifying drought in some areas. For example, these plants occasionally release chemical pollutants into nearby lakes or rivers. Even when these instances are limited and regulated, there are still occasional, accidental releases like the 2014 Dan River coal ash spill in North Carolina. Importantly, solar and wind require no water to produce electricity, making them a less costly choice in terms of water impacts. So what should we do with these external costs now that we know more about them? 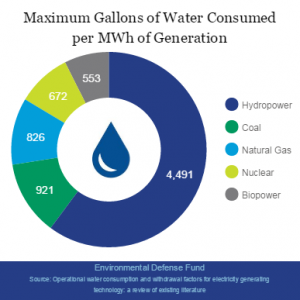 Incorporating the health and environmental costs of electricity into the price we pay for it is one solution for which Environmental Defense Fund is advocating. Doing so will help reduce pollution and ensure a level playing field for clean energy in our electricity markets, creating a cleaner system for everyone. This blog post is part two in a three-part series that takes a deep dive into economics of the electric system and the role pricing can play in accelerating the clean energy economy. Part one of the series examines Transforming the Electric System to Reduce Costs and Pollution. Part three of the series examines How More Transparent Electricity Pricing Can Help Increase Clean Energy. This entry was posted in Electricity Pricing, General, Social Cost of Carbon. Bookmark the permalink. Both comments and trackbacks are currently closed. Other costs that are not mentioned are the far upstream costs of mining. Uranium and coal mining take a huge toll on the miners and neighboring communities who have the tailings and sludge left over. Additionally, the costs of waste disposal and management from nuclear power are very high and no proof exists that the job can even successfully done for the long term. 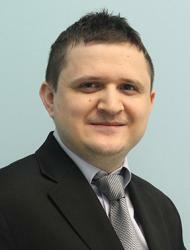 Ferit conducts economic analysis of policy options to promote clean energy and energy efficiency.